The camera-equipped robots will be programed to gather information as they go, without knowing in advance what will happen, including who will win the race. "Unlike the highlight reel in MarioKart, real robots won't know ahead of time where the interesting parts will be," Becker explained, "but they will know a lot of probability theory and will be able to calculate the odds of good video footage as a function of race status and robot position." He will collaborate with Dylan Shell, associate professor of computer science and engineering at Texas A&M University, and Jason O'Kane, professor of engineering and computing at the University of South Carolina, on the project, which is funded by a $600,000 grant from the National Science Foundation. "I love making autonomous robots," she said. 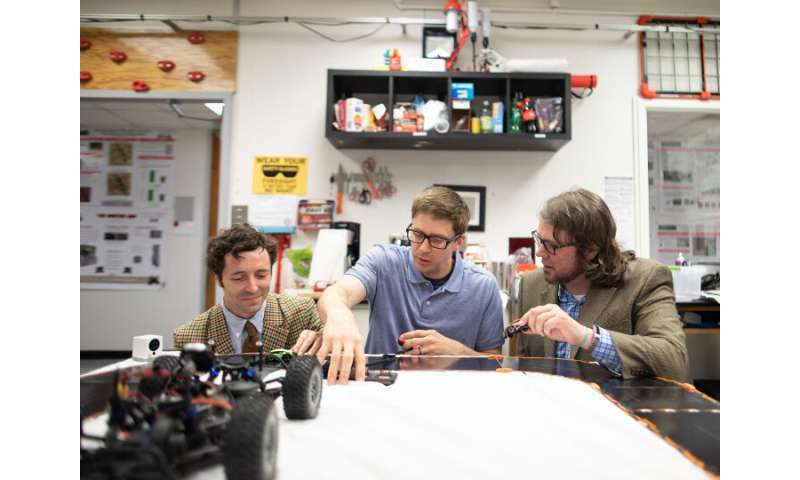 "The overall goal is to make a system where a robot can actually predict what will happen, and that's pretty cool."